The next question is “Where do we go from here?” What do we do if we think our dogs may be in pain? But before we move forward I have a little background story for you. For over a decade I have been practicing veterinary medicine in central Connecticut. Although Connecticut on the whole is one of the wealthiest states in the United States, the town in which I practice is not even close to having a wealthy demographic. It is an old industrial town still trying to find its path in modern-day America. As you would expect, I have many clients who have major financial constraints with next-to-zero disposable income. This directly impacts my ability to perform what many would consider baseline diagnostics (such as radiographs, bloodwork, etc.). Money or no money, I still give every client and every patient my 110% and full love. I honestly love them all, and in many ways my clients’ financial limitations have helped me become a better doctor and forced me to think “outside of the box” while striving to provide excellent medical care. We have all heard the famous English proverb “Necessity is the mother of invention,” which essentially means that the NEED for something different is the driving force behind change and innovation. For me, I needed to find a way to be able to tell if a dog was in pain without having to rely on x-rays. Yes, doing a really good physical exam is the first test, but often in an exam room it can be very difficult to tell if one of my patients is in pain. The reason is adrenaline. Let’s be honest, not all dogs are thrilled about going to see the vet. Many dogs are stressed the minute you pull your car into the parking lot, let alone walking through the door and being examined. The adrenaline that comes with this stress will often mask their “true” condition. A few years back it finally dawned on me that maybe one of the best ways to truly know if a dog was in pain would be to send the dog home with pain medication for 7–10 days on a trial basis. In most cases I will either put them on a non-steroidal anti-inflammatory alone or the combination of an anti-inflammatory with an opioid, like tramadol, depending on the case. I then specifically ask the owner to pay close attention to any physical or behavioral changes. Is your dog moving around better? Are they doing things that they were not doing prior to the medications? 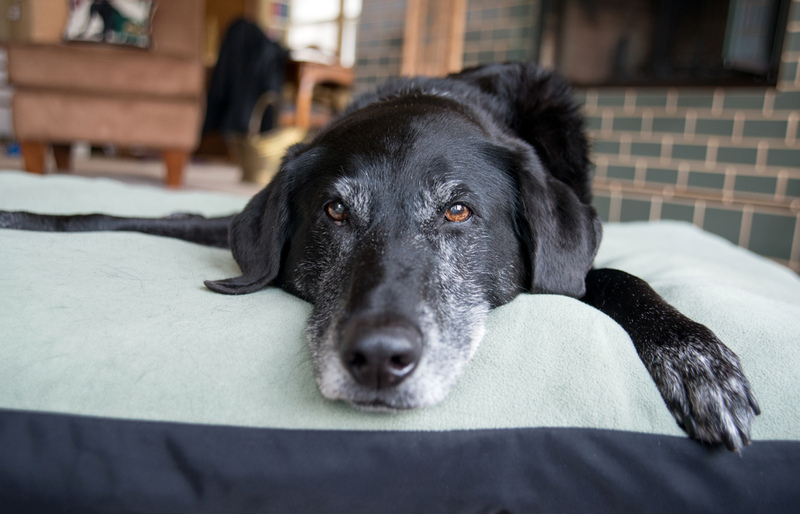 Does your dog seem like they simply “feel” better? Rational thinking would tell you that if the dog was dealing with chronic pain, the medications would help and there would be a change. If the medications did absolutely nothing, then maybe the dog was not in pain, and we need to go back to the drawing board and start over. I humbly named this a PAIN TRIAL. This simple tool/diagnostic test has been vital to my practice and my patients. In many cases, after the owners finally saw that their dogs were in pain, they would save up the money for x-rays and then we were able to truly pinpoint the problem. Here is my big takeaway for you. If after reading the list of Silent Signs you identify one or more signs in your own dog, please make an appointment to see your veterinarian to discuss this. If your doctor wants to take x-rays and you can afford to do so, then awesome, do it. But if you can’t afford them or if you want to run a simple PAIN TRIAL on your dog, then have an honest discussion with your doctor and explain this concept. Depending on the age, philosophy, or experience of the doctor they may or may not have a similar approach in place. Either way, now you know there is a rational and practical tool, just in case your dog may need it at some point. I literally use PAIN TRIALS every day in my practice, and all of my staff are familiar with the theory and how the trials work. There is no doubt that this approach has proven itself time and time again as a great tool for protecting our loved ones from having to silently suffer in pain.